The day has come. Finally. You may say it’s kind of “The Dream Comes True”! But, to be honest, the dream that I am waiting for is not like a dream at all, when it’s come to reality. Since I got a Letter of Offer from Victoria University of Wellington on a Sunday afternoon, December 12, 2016, after Dhuhur Prayer, I was totally frightened. Yup, I was very happy but also very sad. The day that should be the historic moment of my life. Because on the same date—eight years before—to be exact on December 12, 2008, I met my wife for the first time after Jumat Prayer. We should be celebrating our “first met” anniversary with joy and laughter, but my wife was crying because she realized that we will have long distance relationship for few years. Since then I feel sad and cry when I look at my wife and our two sons, notably while they are sleeping. Why should I take study abroad? Well, because it’s my dream. But fail to accomplish when I take master degree in Indonesia. When I got married, I and my wife have a common dream, study abroad together. 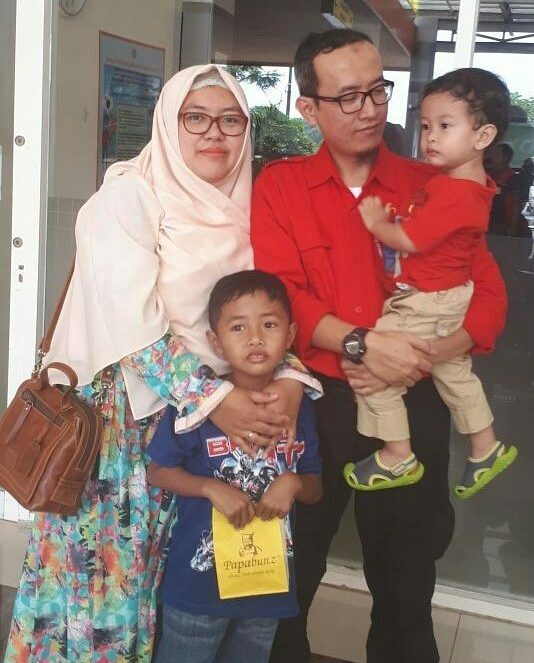 But when I got two children and happy family life, I was totally stuck in comfort zone. I didn’t want to study abroad anymore. However my wife still always pushed me to study abroad. She told me to find the university first—because my field of study in “History Education” is very rare department—and then she would try to follow after me—because her field in “Public Health” is a quite common department. Not long after I got a Letter of Offer from Victoria University of Wellington, she straightly checked the university website. Then my wife realized something, her field was not available in Victoria. In odd moments, my wife protested: “why you took your study in New Zealand?” I simply answered, “because, you told me to do so!” [bukannya bunda yang nyuruh ya? :P]. Why should I take Victoria University of Wellington? You may not believe me, but it was just because I got the clue when I perform “Istikharah Prayer”—a kind of prayer recited by Muslims when in need of guidance on an issue in their life (Wikipedia, 2017). Before I reveal the clue, let me tell you about my previous study. Before I took decision for my undergraduate field of study, I have fallen in love with Social Studies already: especially Geography, Sociology, and History. Mainly because of the merit of my elementary school teacher: Pak Usman (almarhum) and because I realized the weakness of my capability in mathematics and natural sciences. On the second year of my secondary school (SMA), I got a realistic aim to be a teacher—because my parents are teacher and I want to follow them, also after I got a brainwave from the movie “Dead Poet Society” in the middle of the night when I got stuck while I am study. On the last year of my secondary school level, I have to choose between two options: become Geography teacher or History teacher. Both of those options were available in State University of Malang (Universitas Negeri Malang) when I want to apply by Penelusuran Minat dan Kemampuan (PMDK) entrance path. Actually, I prefer to take Geography Education because I love to go hiking, and I have been consulting this choice with my father and my teacher (Pak Thohir, almarhum). They gave me a positive signal to take Geography Education as my field of study. Because I am still not sure yet, so I did perform Istikharah prayer for Geography Education. The sign or clue that I got was about the trials and test of the prophets, so maybe it will be good for me but very hard to do. So I took the second Istikharah on the other day about History Education, and the clue was—if I do not make any mistake—about shalat. That is the history why I am studying history education. I just realized the grace from my istikharah when I started my undergraduate study: First, it turns out that Geography Education was on the Faculty of Mathematics and Natural Sciences of Universitas Negeri Malang (UM), and I have allergy with “mathematics” word. Second, maybe if I took an undergraduate study on Geography Education, I would never be able to be a lecturer in UM, because on the lecturer entrance test on 2006 they only opening job opportunities for Geology graduates, not for Geography Education. The geology man who accepted as UM lecturer in 2006 right now become one of my best friend, Syamsul Bachri. So, my choice for History Education at that time was the best choice. I feel got a lot of ease in my study until I was graduated in September 2006. The same thing also happens when I took master degree in State University of Jakarta (UNJ) Indonesia. After I became a lecturer in UM started from April 2006, I decided to take my master degree as soon as possible because I want to get married before the age of 27. After took several English course, I buried the dream to study abroad. So I was looking for master degree program for History Education in Indonesia, which was only available in UNJ and Universitas Sebelas Maret (UNS), Surakarta. Based on my common sense calculations, I prefer to choose UNS because it’s near to Malang and cheap living cost. However, after I did Istikharah, the clue given to took a study in UNJ. The grace was that I “met” my wife when I took my study in UNJ—I probably will tell you in the different story—and I got married by the age of 27. Back to the question why I should take my PhD in Victoria University of Wellington? Yes, the same answer, because of Istikharah prayer. After my wife kept forcing me to study abroad, I took so many English courses in Malang and Bandung (TOEFL, General English, and IELTS). After I got 7.0 overall band score in my IELTS test in January 2016. I started looking for the doctoral program in History Education or a professor which has common research interest with me. In the end, I found the last three options. First, Prof. Adrian Rodgers from Ohio State University (USA), which I have met face to face in the conference at Malang on 2016 and after that, we have continuous email correspondence. Second, Prof. Ian Davies from University of York (UK). Third, Prof. Mark Sheehan from Victoria University of Wellington (NZ) which has a similar research interest in historical thinking. From those three options, I prefer to choose UK because I want to go to Europe. However, from my Istikharah prayer, I got the clue that Ohio State University was the bad choice because related to a kind of torment and the clue for the University of York was about frailness. The clue about Victoria University of Wellington was about the rain—and in Islam rain is considered as a blessing. It turns out, my application process to Victoria University of Wellington was very smooth. And do you know what? The fact, besides as windy Wellington, this city also has a lot of rain—when I write this, it is raining all day long in Wellington. Back to the story when my wife very sad because her field of study did not available at Victoria University of Wellington. It did not last long, we got information from Mbak Anik (VUW PhD graduate), that Massey University in Wellington has a field related to public health. 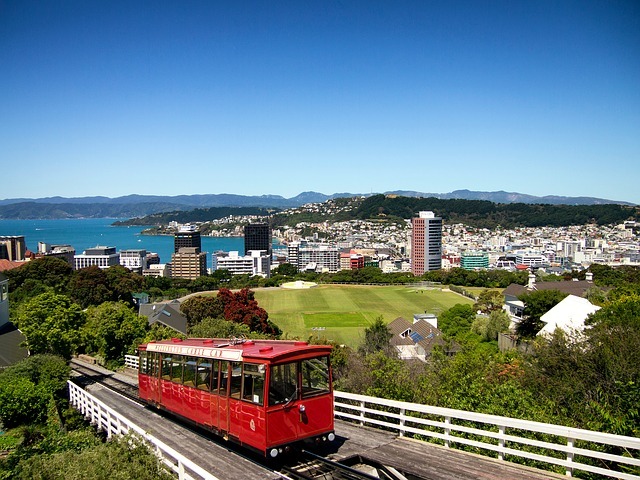 Since then, my wife takes an IELTS course so she can follow me to study in Wellington. If she wants to follow me she has to have her own scholarship, because I don’t have any family allowance in my scholarship. Somehow, her spirit to learning has decreased afterwards, probably because she realized that I have to do my research in Indonesia. Or maybe, she has other considerations, I don’t know. In the nine months since I got my Letter of Offer until the day of my departure to Wellington, I have to hide my sadness that I will leave my family. But my wife frequently cries when she thinks of this. Finally, I have to depart to Wellington on September 30, 2017. Right at the commemoration day of G30S/PKI, an abbreviation of Gerakan 30 September/Partai Komunis Indonesia (the day of coup attempt of September 30 Movement/Indonesian Communist Party in 1965). But I will commemorate this date as Peningkatan Kualitas Intelektual (Improvement of Intellectual Capacity) day. Coincidentally that day also celebrated as a sacred day of Asyura in Islam calendar at 10th Muharram 1439 Hijriah. So I have to “Hijrah” (migrate) in order to study abroad (tholabul ilmi). My family member accompany me when I went to Abdurahman Saleh Airport in Malang. Time to leave, after taking some pictures, I have to say goodbye to my father, my mother, and my mother in law. I tried hard not to cry when my wife cry. But I failed when I looked at my two sons. I hug them tightly. Yes, I cried at that moment!